Spelling - What's going on in Mr. Solarz' Class? This grade does not count in the gradebook. 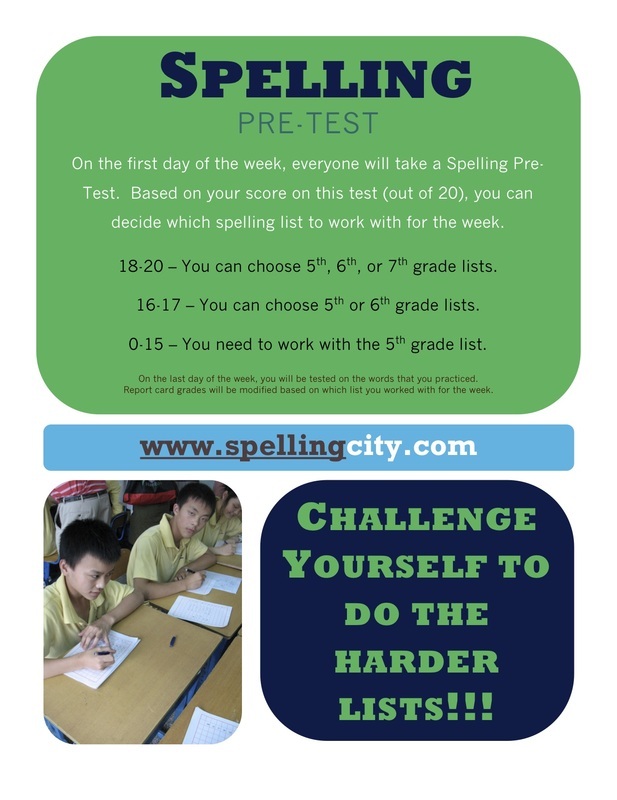 Take your Pre-Test on "Spelling Test Me". Learn how to spell every word! For the words that you got wrong, listen to the words being spelled for you on "Spelling Teach Me." My suggestions are "Sentence Unscramble" and "Which Word Definitions". Play three of the following spelling games. 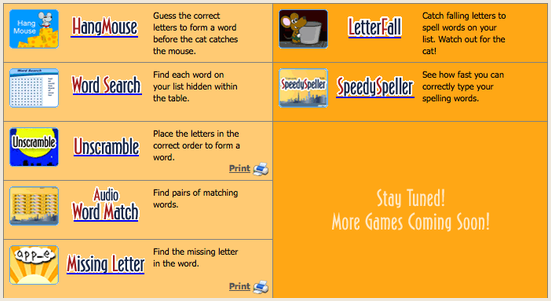 After you have played three games, play Speedy Speller last (for a total of four games for this step). Play the Crossword Puzzle at the end of your practice to make sure that you know what all the words mean. 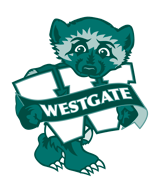 This is the grade that I will use in the gradebook. I would like you to practice taking the 5th grade Post-Test on "Spelling Test Me" to see how prepared you are. You can take this test several times for practice! We will do it together on Friday morning and that one will count. Step 7: Make sure that all of your games were recorded so you get credit. 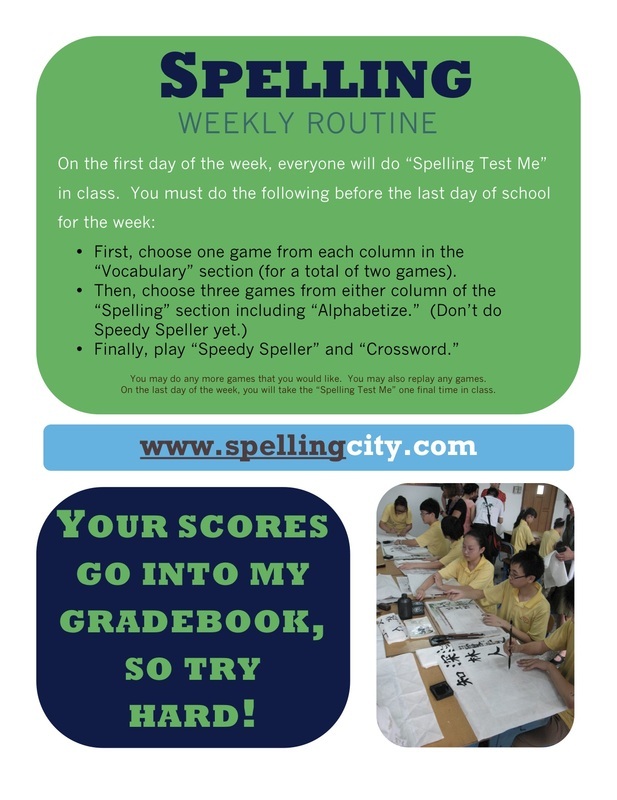 Look in the upper right hand corner of the spellingcity.com page. 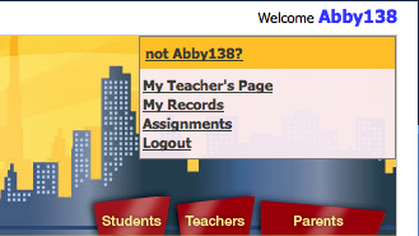 Click on "My Records". Everything you just did is recorded for you, your parents, and me to see! Make sure that you played all seven required games. If not, do that now! I will be checking your progress periodically throughout each trimester. 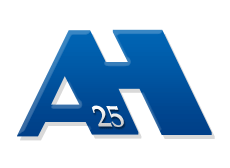 Students should be checking each week. Parents should check periodically as well so that it is not a surprise if your child is behind. If the above directions are not clear enough, here is a video from one of my students explaining and demonstrating how to check if your activities were recorded.